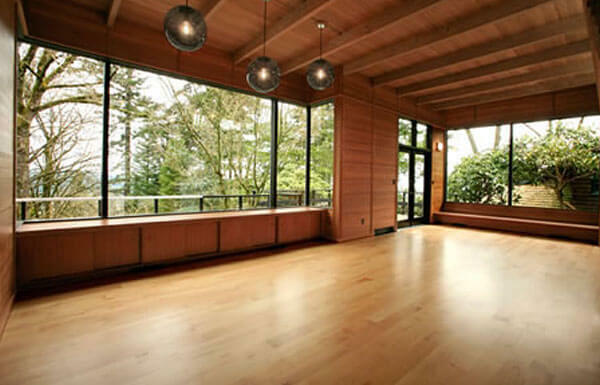 Sunshine Hardwood Flooring is your source in the Boise area for quality wood flooring installation and restoration services using a virtually dustless process. Our licensed and insured family-owned company has served thousands of satisfied customers over the years, and we are proud to say that most of our business comes from referrals and repeat clients. Working with homeowners, remodeling contractors, real estate companies, and businesses, we listen to what our customers want and are committed to delivering an excellent finished product at an affordable price. We use the industry's best practices to install new unfinished flooring and restore existing hardwood floors and stairs to their former beauty. By using technologically advanced floor sanding equipment with vacuum attachments, very little dust will be created during the wood floor refinishing process. Our highly-qualified employees have at least 15 years of experience in wood floor sanding, refinishing, and installation, and our work is backed by a 1-year workmanship warranty. We believe in treating our customers well, which is why our team arrives on time, works with a positive professional attitude, and thoroughly cleans up when the project is complete. Sunshine Hardwood Flooring offers comprehensive hardwood flooring installation, restoration, and maintenance services in Boise and the surrounding area, including Eagle, Meridian, Star, Middleton, and Nampa. Our team's unmatched experience ensures that your wood floor refinishing project will be completed according to the industry's highest standards. We offer free on-site estimates where we discuss your project goals and budget, assess and measure your floors and stairs, and come up with a plan that works for you. Call Sunshine Hardwood Flooring today to schedule your free consultation. Sunshine Hardwood Flooring did a great job for me on short notice. They really went above my expectations. They refinished my living room and dining room floors. They did an outstanding job, and worked hard to get the project done right. They are top notch in their craftsmanship and customer service. You're not going to find better.